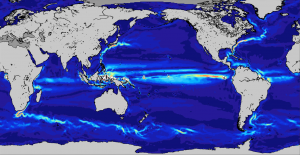 Last week scientists presented the most accurate model of ocean currents created to date using data from the GOCE satellite; twelve months after the satellite burnt up on re-entry to the Earth’s atmosphere. Immediacy is the standard bearer for the twenty-first century; social media allows everyone to tell the world the instant they’ve done anything, emails must be read as soon as they come in and there’s the frustration you feel when a web page takes a few seconds to load. Science doesn’t easily fit this world. The scientific method takes time; it’s about developing a hypothesis, experimenting to test that hypothesis, analysing the data and comparing it the original idea, and then often tweaking the hypothesis and repeating the cycle. Instant gratification is rarely found in this methodology, as shown by the GOCE work. GOCE, the Gravity field and steady-state Ocean Explorer, was launched in 2009. It was five metre long and was known as the ‘Ferrari of space’ due to its sleek design and the fact it was assembled in Italy; and was the lowest flying scientific satellite. Its main instrument was an Electrostatic Gravity Gradiometer which measured gravity gradients in all directions. It flew for four years running out of fuel in October 2013, and returned to earth a few weeks later. GOCE’s instrumentation mapped minute changes in Earth’s gravity which were used to construct a ‘geoid’ – a hypothetical global ocean at rest – with an accuracy of 1-2cm at a 100km resolution. 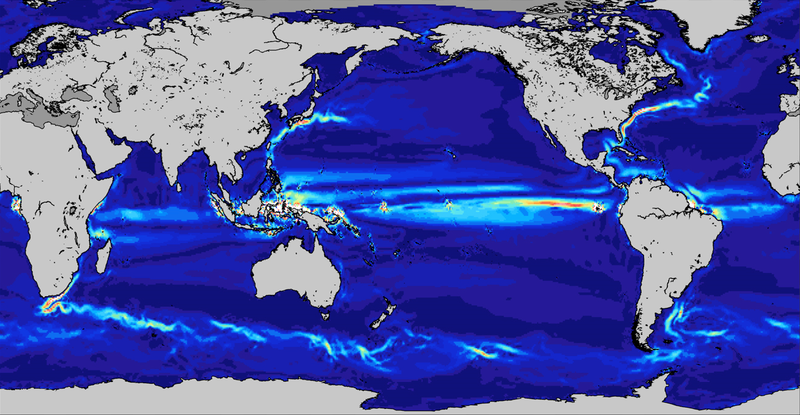 This geoid model was subtracted from the mean sea-surface height measured over a 20-year period by other satellites, including Envisat, to create a map of the ocean surface showing areas of water higher, and lower, than average. The map was then used to calculate ocean currents and speeds, and was validated through in situ measurements. The resulting model of ocean currents was presented at the 5th International GOCE User Workshop last week. GOCE, like all satellites, collected a huge amount of data, which takes time to analyse. A similar example is likely to be the Philae probe which landed on comet 67P/Churyumov-Gerasimenko last month. During the sixty hours it was operational after landing; it sent streams of measurements back to Earth. Even without future communication with the probe, this data will take years to fully analyse, study and interpret. Who knows what scientific discoveries may be made from this? You can’t rush science. It takes time, and effort, to get accurate and reliable scientific results. But those results have the potential to change our understanding of the world and help create innovations to improve the future of our planet and our lives. Now that’s worth waiting for isn’t it? This entry was posted in Earth Observation, Envisat, ESA, Modelling, Oceans, Remote Sensing, Research, Space Industry, Uncategorized, Understanding Space, visualisation and tagged 5th International GOCE User Workshop, Earth Observation, ESA, geoid, GOCE, Gravity, Gravity field and steady-state Ocean Explorer, ocean current and speeds, philae, science takes time, scientific method by Andy. Bookmark the permalink.